A thief who stole a briefcase, laptop and paperwork from a parked car at Trowell motorway service station has been ordered to complete unpaid work. Chesterfield magistrates’ court originally heard how Thomas Cain, 23, managed to get inside the car and pulled the rear seats down to commit the theft. 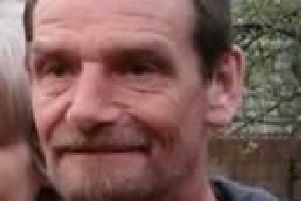 His case was adjourned and transferred to Sheffield magistrates’ court where he was sentenced on Wednesday, March 7, to a 12 month community order with 120 hours of unpaid work. Prosecuting solicitor Becky Allsop told the previous hearing that the complainant had parked at Trowell service station off the M1 southbound carriageway and had locked his car and gone to get a sandwich. But when he returned he saw Cain at the back door of his car which was open and he saw him walking off with the laptop, according to Mrs Allsop. Mrs Allsop added the complainant managed to note the registration of the Audi vehicle which the defendant drove away in and the police were alerted. The court heard how police spotted the vehicle on the northbound carriageway of the M1 motorway and the vehicle was stopped near Meadowhall shopping centre and the laptop was found on the back seat. Cain told police he realised he could pull the rear seats down and the briefcase was taken from the area and he disposed of the briefcase and paperwork and kept the laptop. He admitted to police that he did not have a driving licence and he had no insurance. Cain, of Newman Road, Sheffield, pleaded guilty to theft, driving without a licence and to driving without insurance after the incident on February 12. Michael Clark, defending, had told the previous Chesterfield magistrates’ court hearing that Cain is ashamed of himself but he has been struggling financially and he fell foul to temptation. Cain was also ordered to pay £85 costs and an £85 victim surcharge.